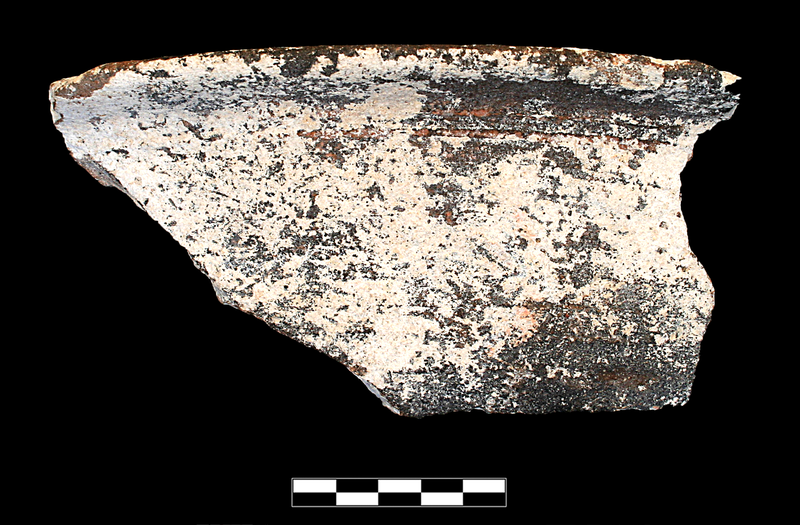 Single sherd preserving c. 1/6 of flange; rim rounded; flange flat on top, rounded below. Slightly granular fabric with occasional light medium angular inclusions and small circular dark inclusions; frequent tiny bits; inconsistently fired greyish-brown to brown. All extant surfaces are grey with some lighter greyish-brown patches. Heavily encrusted.